Today's So Shoe Me is the Tronic Glow-in-the-Dark Sneakers by Jeffrey Campbell, $199, available at Akira. 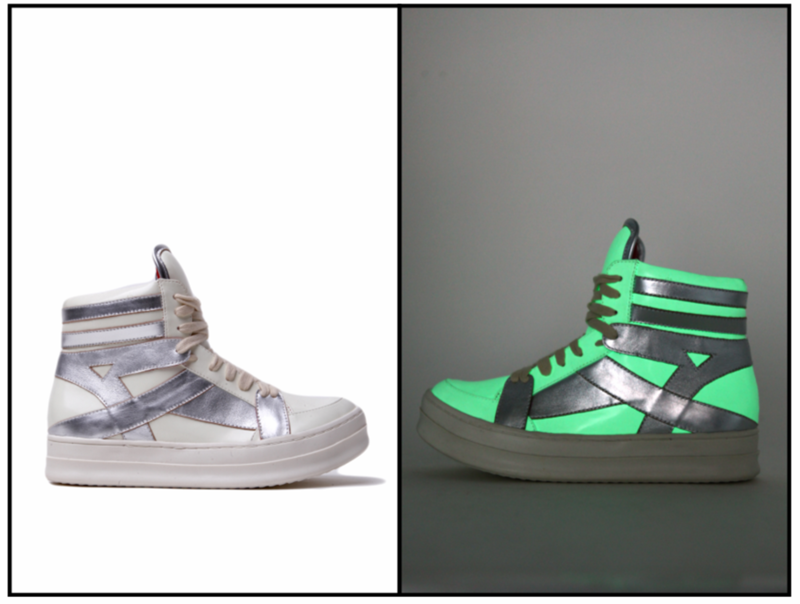 Get hooked on Tronic with these trippy glow-in-the-dark sneakers by Jeffrey Campbell. Sporty silver detailing adds a space age touch while the clean white sole and upper are fresh for daytime and unexpectedly bright at night. With athletic appeal and a fashion forward glow these hi top sneakers are the perfect splurge for pre-fall updating. Pair these night bright hi tops with some relaxed track pants and a fuzzy knit crop sweater for a casual look with an effortless 90s vibe. So Shoe Me a pair of luxe light up sneakers that will add some 90s club kid aesthetics into my everyday wardrobe.